PRESS ARTICLE: Lenders ripping off landlords? With interest rates at an all time low, one would not expect there to be issues with lenders charging high fees/rates for landlords who are in a position to borrow for property investment. However there has been a sharp rise in the number of formal complaints from landlords and investors about the valuation they have received for the HMO’s (both licensed and non-licensed), according to The Mistoria Group, a leading student property investment company. These complaints tended to centre around the valuers property valuation. Very often it seems the valuation provided was up to £50k below market value and didn’t take into account rental income – meaning the level of lending was heavily restricted. Valuers tended to give a property a valuation based on sales comparison on the same road or based upon rental income if the property were let to a family unit rather than on a room by room basis (which is of course substantially lower). 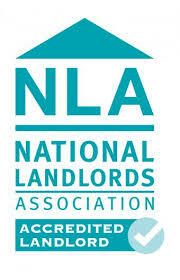 Unfortunately for landlords they are in a very weak position when it comes to arguing against valuations. The lender will be using a third party surveyor whom they are most likely to side with. The complaints procedure is likely to be a drawn out affair and the landlord is very likely to be a long way down the conveyancing line so that by pulling out not only would they be losing the (hefty) valuation fee, but will need to start the process again with a new lender. This is where a good mortgage broker can come in very useful as they will often have good contacts from within the lenders who may be able to shed light on matters and expedite the process.